Expand to 20 photos (5 cars) found with exterior color of "dark moss green"
(from page 16 of the 1967 Collection) Dark Moss Green 1967 Mustang GT fastback with sport wheels, hood vents, hood pins, fog lamps, metal rocker panel molding, and GT fender emblem. This photo is available in two wallpaper sizes; 800-600 wallpaper and 2400-1600 wallpaper. (from page 26 of the 1967 Collection) Dark Moss Green 1967 Mustang Shelby GT-500 fastback with white Shelby stripes and a black interior. It has the 428ci engine, 4-speed manual transmission, power steering, power disc brakes, folding rear seat, shoulder harnesses, factory roll cage, inboard headlights, AM radio, and Kelsey Hayes 5-spoke wheels. (from page 26 of the 1967 Collection) Another similar view of this awesome Dark Moss Green 1967 Mustang Shelby GT500 fastback. See the GT500 decal on the rocker? (from page 26 of the 1967 Collection) Dark Moss Green 1967 Mustang Shelby GT-500 fastback, left rear view. (from page 33 of the 1967 Collection) Check out this Dark Moss Green 1967 Mustang GT fastback. 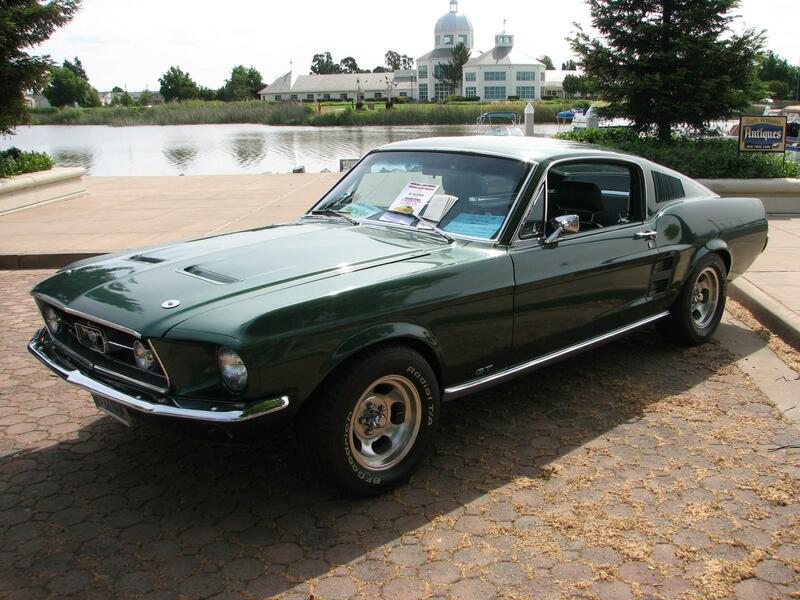 Its very similar to the 1968 Mustang in the movie Bullitt. This was our featured Attitude Of The Week for the week starting June 13, 2010. This car was on display at the 29th Annual Central Illinois Ford Day Show in Bloomington, Illinois. (from page 33 of the 1967 Collection) This Dark Moss Green like the Bullitt car. It has a Pony emblem in the grille and chrome wheels unlike the Bullitt car. (from page 33 of the 1967 Collection) Dark Moss Green 1967 Mustang fastback, left rear view.